If there is one thing we can say for sure about Panda & Co in Highgate, it’s that this place is not your average breakfast joint. With dishes like sausage and egg bao-nedict and Rueben rollie pollies (Rueben sambo spring rolls guys!) on the menu you know you’re in for a real treat before you even sit down. Owner Andy is an absolute boss on the coffee machine and an all-round nice guy. He’ll be more than happy to talk you through the menu, but don’t expect him to give everything away, you’ll have to order something crazy and try it for yourself! We sat down for a quick breakfast before work one day and spent what felt like hours agonising over the menu. How could we possibly decide between Grandpa’s seven-hour slow cooked pork belly bao (which is legit Andy’s Grandpa’s recipe) and the breakfast bao, or between the fried ice cream surprise and the Korean waffles of mass destruction? After not one, but two coffees—they were just that good—we finally decided on a few things. The Rueben rollie pollies were the absolute highlight. While you might not think spring rolls are real breakfast food, just trust us when we say you should order these. They are out of control delicious. 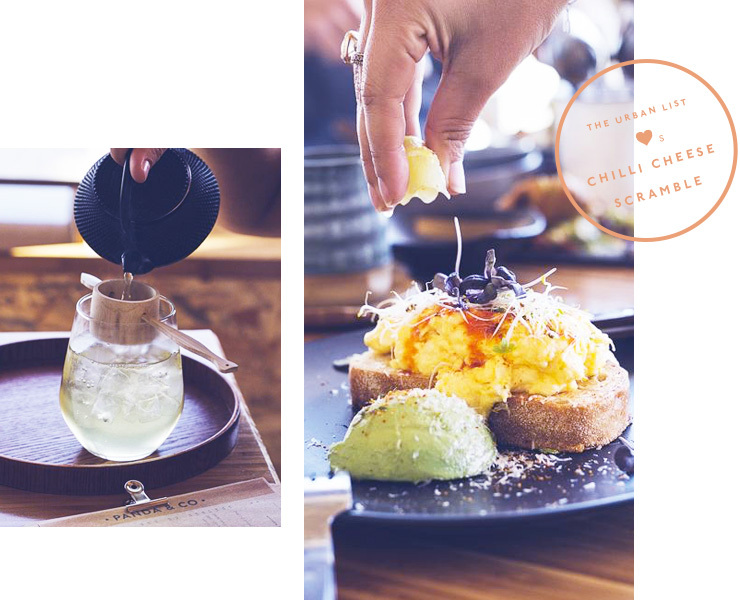 The chilli cheese scramble with avo was breakfast perfection, while the smaller avo on toast dishes—choose from smashed, salsa or a simple but delicious avo half—are perfect for a quick and tasty breakfast. The Korean waffles of mass destruction were another highlight and the sausage and egg bao-nedict should be ordered if only because it’s so fun to say. If you’re in the mood for something a little more crazy than a plain old coffee, we’d recommend the popcorn or marshmallow milkshakes. If you can’t do lactose, it’s worth keeping in mind that the almond milk coffees here are some of the best in Perth, and we’ve tasted a lot of them! What are you waiting for? 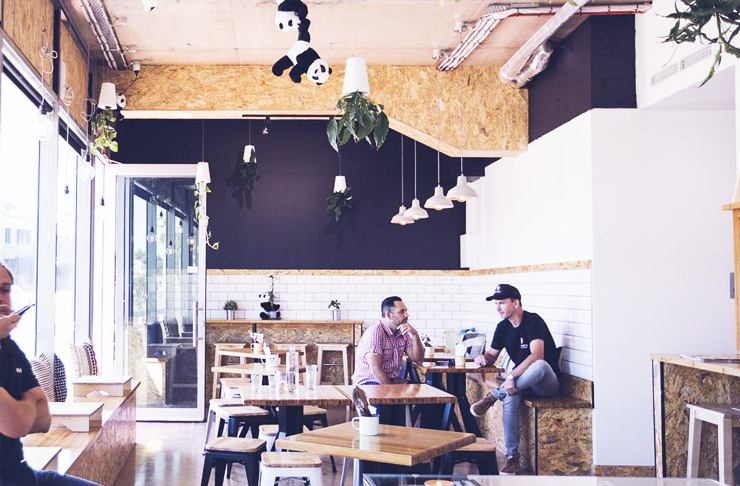 Find Panda & Co's opening hours, location and all the details in the directory and pay them a visit stat!